54 Year old patient from Switserland. He was more concerned about the crown area. 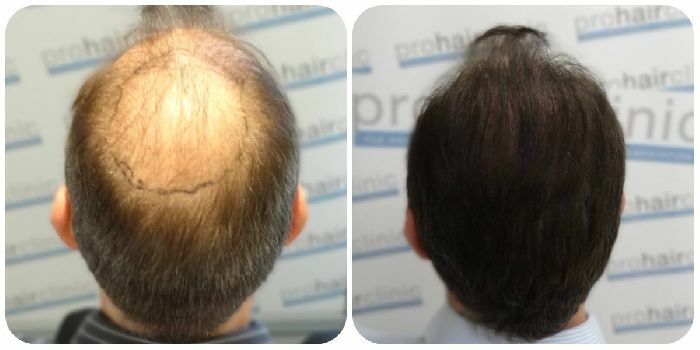 2500 grafts where placed at 30-35 grafts per square centimeter. 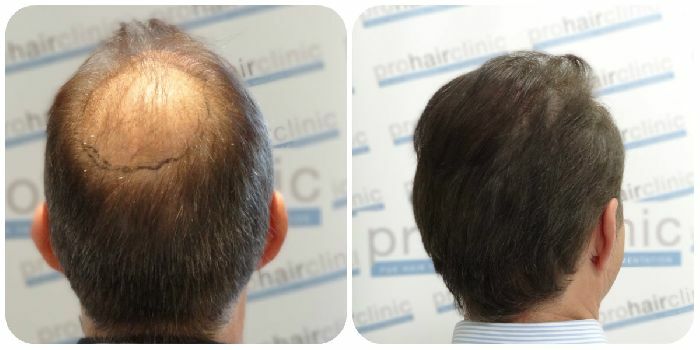 He also started using finasteride and minoxidil after the treatment. Furthermore he now uses hair colour to disquise grey hairs. As always, we use 100% manual procedure for highest possibly quality. The top “after” photo looks like a hairpiece… also, why are the after photos so dark? Oh, I know why.